Election coverage didn’t end with the counting of votes the night of Nov. 8. I kept busy in the days afterward as well, analyzing and understanding the results and what they meant. “Elkhart County Latinos, immigrants jittery after Trump’s election,” Nov. 16, 2016. The election of Elkhart County Prosecutor Curtis Hill as Indiana attorney general was noteworthy in the context of racial politics. He’s the first African-American GOPer, near as I can tell, and one of only a handful of African-Americans ever elected to statewide office in Indiana, but race seems to have factored little in his contest. “I’d like to believe that we’re at a point in 2016 where there are just people. There are Hoosiers. There are Americans,” Hill said in an interview with me. “‘Not been a factor’: Indiana Attorney General-elect Curtis Hill downplays race in campaign,” Nov. 20, 2016. U.S. Rep. Jackie Walorski resoundingly won a third term and the GOPer was pretty ecstatic about the prospects, in combination with Trump’s victory. “Now I see a path forward,” she said, alluding to hope for repeal of Obamacare, more aggressive action against ISIS extremists in Syria and an end to what she sees as stifling federal overregulation. “U.S. Rep. Walorski ‘thrilled’ at prospects after securing a third term amid GOP sweep,” Nov. 10, 2016. Me, Tim Vandenack, on far right, at taping of WNIT’s Politically Speaking, aired Nov. 13, 2016. We discussed Nov. 8 elections. Screen grab from program. 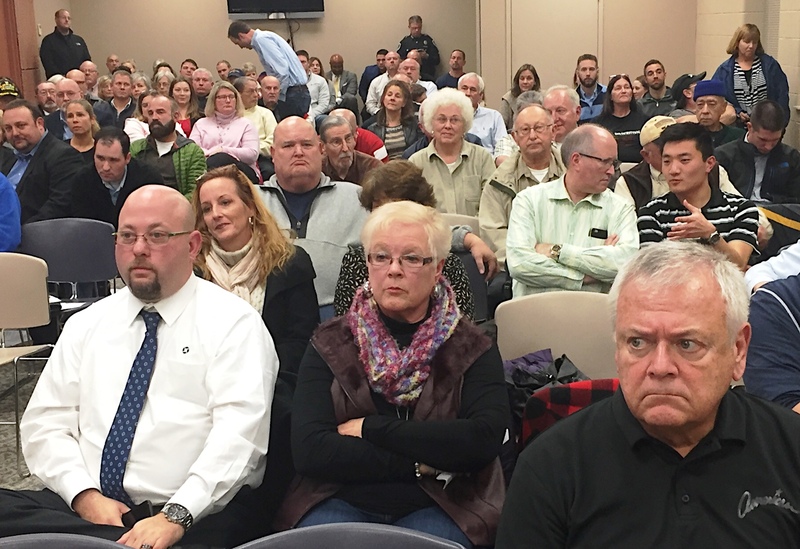 Just last Friday, I covered the caucus of Elkhart County Republican Party committeemen to pick someone to fill the unfinished term of Hill, who’s term as prosecutor still has two years. They tabbed Chief Deputy Prosecutor Vicki Becker and also picked replacements for two other officials elected to higher office last November. The story was pretty straightforward (look here), but it offered the chance to flex some tweeting muscles and I reeled off 17 of them, reporting all the action — and Becker’s naming — in real time. Politically Speaking – Post Election Analysis, episode #1907, Nov. 13, 2016. 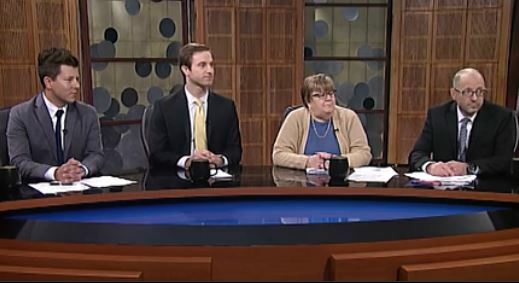 Me, on the right, on WNIT’s Politically Speaking on Nov. 8, 2015, discussing the Elkhart elections of Nov. 3. Screen grab from WNIT.org. Covering the Elkhart elections wasn’t just about writing stories, tweeting and following returns on election night. I also appeared on WNIT’s Politically Speaking, with a slate of others, to talk about the Elkhart results, after the fact. I was invited to talk about Elkhart elections, along with other reporters and experts who spoke to elections in South Bend, Goshen and southwest Michigan. WNIT is a South Bend-based public television station. You can see the episode I appeared in here.